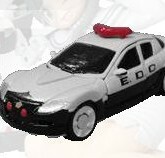 Atari Hitotonari x Autorooper – Mazda RX-8 (Police Style) toy information. 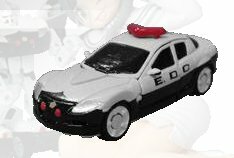 Atari Hitotonari x Autorooper – Mazda RX-8 (Police Style) parts information. 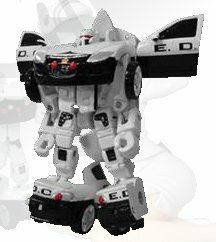 Eternal victim of unfortunate happenings, Atari was first released as this larger PVC figure with a "Worlds Smallest Transformers" Autorooper. 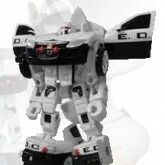 The drama CD included with the set explains that Atari accidentally ate a Legion with her lunch one day and that therefore her Autorooper had to be miniaturized to go inside her and drive the thing out before Atari suffered an even worse fate.